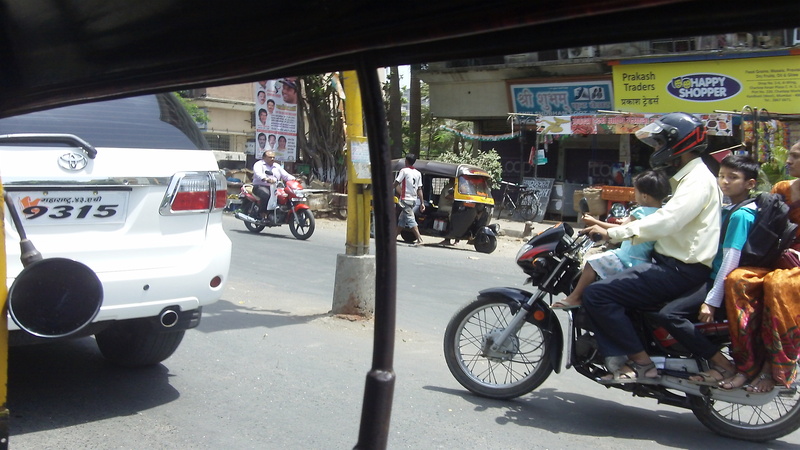 Traffic, old people, professionals, goats, bicycles, cars, sick dogs, trucks, tuk-tuks, scooters, motorcycles, couples, families, cows, cats, fruit sellers, chili dryers – you name it, and it has equal rights on any road anywhere in India. 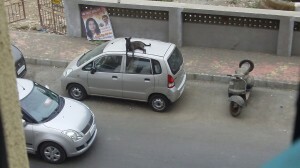 The level of tolerance for the absurd on the roads here is shocking. Should a dog happen to wander in front of oncoming traffic, it is oncoming traffic’s responsibility to stop or swerve or otherwise outmaneuver everyone else to avoid hitting the dog. 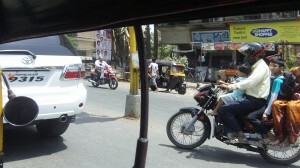 Should a tuk-tuk break down in the middle of the road, the river of traffic again makes monumental diversions to avoid hitting the stationary object. These scenarios are repeated in scales both large and small constantly here, and it gives me the impression that everyone and everything touching the road is equal. It doesn’t matter if you are an untouchable, a Brahmin, a man, a woman, a vehicle, or a goat: all are given the respect of not being leveled flat by speeding traffic. But then what happens to this attitude when people leave the road? Where does that equality and tolerance for all go? Because if The Road attitude pervaded society here, I think there would be a lot less girls for me to train. Photo from tuk-tuk 1 (Mumbai 2012). 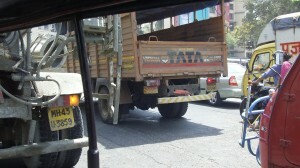 Not just for driving (Mumbai 2012). 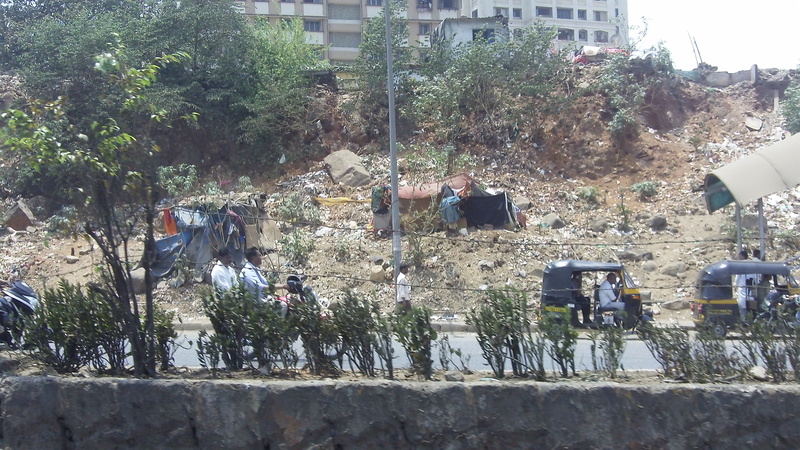 Mumbai highway road side (Mumbai 2012).